12 Greek artists cooporate and this project intends to promote Greek artists and feature the contemporary Greek electronic scene_ Up the Greeks_ - Track? !D. 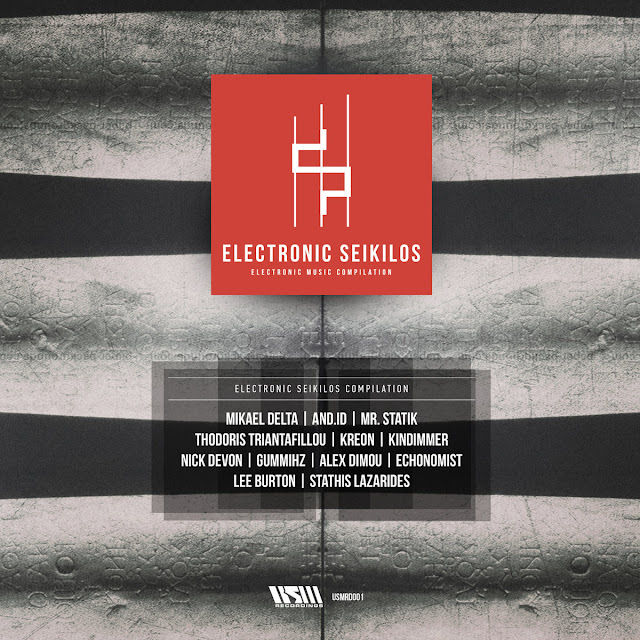 This track is a part of the VA Compilation "Electronic Seikilos"
The first compilation will be comprised by 12 tracks, by 12 Greek artists, and it will be accompanied by audiovisual material, documentary, workshops as well as interviews by the artists. The name of the collection is inspired by the ancient Greek synthesis of the track “Seikilos epitaph”, which is saved till nowdays. It is an hymn whose lyrics suggest an exceptional stand towards life. The collection will firstly be available via the Bandcamp platform in digital form and then on limited digipack & vinyl form. The cost of purchase will be determined by the potential buyer, who will set the price s/he wants to offer in order to obtain the compilation. Our goal is to offer the earnings from the sales of the compilation, for the purchase of synthesizers, drum machines and other electronic music equipment, which will be gifted to Elementary Music Schools all over Greece, in an attempt to bring young children closer to the electronic sound and improvisation. The complete idea will be executed under total transparency, supervision and participation by the artists themselves.